One of the most common questions that people ask their optometrist is whether they should be switching from conventional glasses to contacts. While both are great to correct your vision, it comes down to a matter of personal choice based on cost, looks, and care that pertain to each option. If you are thinking about ditching the good old glasses for contacts, these tips will help you ensure that the transition period runs smoothly. Always wash your hands before you put on or remove your contacts. Touching your eyes with dirty hands can lead to eye irritations and infections. Always carry eye drops with you and use them as often as needed—especially if you are constantly looking at computer screens or other electronics, and if you live somewhere with harsh weather conditions. When contacts dry up, they can become uncomfortable, cause ocular irritations, and potentially scratch your eyes. Your eyes need a chance to breathe, so make sure you give them a rest from contacts. If you have to wear your contacts every day throughout the day, you should opt for contacts that are breathable and take them off when you are at home or relaxing. Contact solution is very important as it is what you will be using to clean your contacts and store them in. Make sure you always have solution available at home and never use water as an alternative. Water does not sterilize and since it does not contain salt like regular contact lens solution, it is absorbed into the lenses instead. Mixing your contacts can lead to eye infections and other conditions. It is important to create a habit of properly storing them in your contact lenses case by putting your left contact on the “L” side and your right one on the “R” side. For more information about contacts or to schedule an eye exam with one of our optometrists, visit our website. 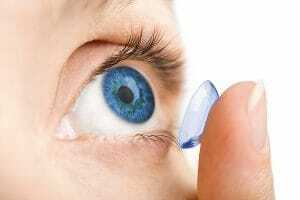 I’m happy that I stumbled on this article because I’m thinking about getting contacts myself. After all, I really do feel like that they can help me out with my vision and comfort. That being said, I don’t really know a lot about caring for them. I had no idea that you shouldn’t mix your lenses. Do you have any other tips about getting contacts? For example, what are your favorite brands?